Arsenal has had a difficult start to their campaign, with consecutive goalless draws against Sunderland and Stoke before two impressive victories over Liverpool and Southampton. After looking toothless in attack for the first two matches, they exploded for 8 goals in the next two matches, which forces many to question which Arsenal side will show up for Champions League nights. Under the guidance of Arsene Wenger, the club has recently decided to splash the cash on German striker Lukas Podolski and former Montpelier striker Olivier Giroud. 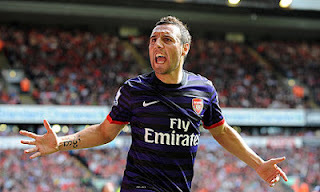 Their capture of Santi Cazorla also looks to be paying early dividends, which comes as a surprise to some who expected the club to suffer with the departure of captain Robin Van Persie. The new additions up front an in midfield are welcome additions, but the back four still raises a few questions among Gunners fans. Can the young Carl Jenkinson step up in the center of defense where others have spectacularly failed? Can Wenger's squad cope with Per Mertesacker's lack of speed? Will Vermaelen and Koscielny step up when called upon? These are the questions that Arsenal fans have been asking that will need to be answered if they hope to challenge for the Champions League title. Arsenal should be good enough to advance out of this group, advancing through the knockout stages will be a story for a later date. 2011-12 saw Montpellier crowned as champions of Ligue 1 for the first time in their club's history. This surprising result came in large part to Ligue 1 leading scorer Olivier Giroud. Giroud has since left Montpellier for greener pastures in London, and his absence means the club will have to look elsewhere for leadership. 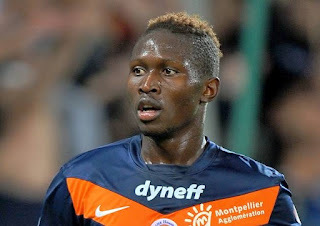 Mapou Yanga-Mbiwa will provide that leadership from the central defender position where he will also wear the captain's armband. After helping the club climb from Ligue 2 to the top of Ligue 1, Yanga-Mbiwa would love to see his club through to the knockout stages of this tournament. Yanga-Mbiwa will be accompanied in defense by the experienced 35 year old Brazilian Hilton. The club will look to replace Giroud's goals with some from John Utaka, newly arrived striker Anthony Mounier, and veteran striker Souleymane Camara. The midfield is where the club could face difficulty against the skilled opposition from Arsenal and Schalke 04. The midfield is led by Younes Belhanda, Marco Estrada, and Jamel Saihi, Anthony Marveaux with all of them featuring for multiple seasons with the La Paillade. Qualification may be a little out of reach for their first Champions League campaign, but Montpellier will be eager to show the world what they can do. After winning their 2nd consecutive and 39th overall Greek League title in 2012, Olympiakos returns to the Champions League where they have the honors of being the away match that all teams and match announcers fear. 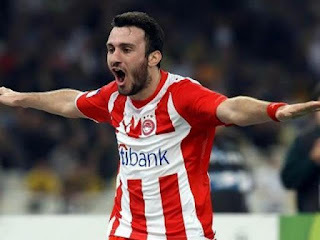 Vasilis Torosidis returns to captain the Reds from his fullback position and will be joined by his vice captain Avraam Papadopoulos, both will look to continue their string of good performances from the early season and summer's Euro 2012. Their efforts will be joined by journeyman Northern Irish keeper Roy Caroll who secured his status as a club legend last year for a heroic penalty save with his first touch in his debut, followed by multiple saves with an injury during matches against Rubin Kazan in the Europa League. Argentinian Ariel Ibagaza and David Fuster will lead the midfield, while questions remain surrounding Ioannis Fetfatzidis. Fetfatzidis' has not been given a chance to shine despite playing well in preseason and training matches, reminding many fans and pundits of a similar treatment received from the club by Schalke's Kyriakos Papodopoulos. If he emerges as the talent some think he is, Olympiakos home matches could be much more difficult that opponents have bargained for. Rafik Djebbour will feature up front for Olympiakos and he looks to improve on his already impressive goal totals for the club along with aging veteran striker Marko Pantelic. After being absent from the 2011-12 campaign, Schalke looks to return to the tournament led by a skilled youthful defense complimented by the ruthless goalscoring of Klaas Jan Huntelaar. After a lackluster Euro 2012 campaign, Huntelaar has a lot to prove to detractors, and he has gotten underway with 2 goals in the Bundesliga campaign through the first two matches. That youthful defense is led by captain Benedikt Howedes and Greek star Kyriakos Papadopoulos. The duo are accompanied by the experienced Christoph Metzelder, who has lended his steady influence since re-signing for the club where he played his youth football. The Miner's midfield improved greatly over the summer with the addition of Barcelona loanee Ibrahim Afellay. The Dutch midfielder will be accompanied by fellow newcomer Tranquillo Barnetta who joined the club this summer with the desire to play Champions League football. American midfielder Jermaine Jones and Lucky Lewis Holtby round out the solid midfield for the German club. Jefferson Farfan rounds out what looks like a solid starting eleven, lending his experience to the squad that is no stranger to this competition. It may be a difficult task, but Schalke 04 could repeat their 2010 accomplishments and win this group should Arsenal slip up. This group looks pretty straightforward with Arsenal and Schalke going through. Olympiakos will look to take advantage with the added travel and hositle crowds, but lack the quality to upset Schalke and Arsenal. Montpellier, without the services of Giroud, will find it very hard in this group.